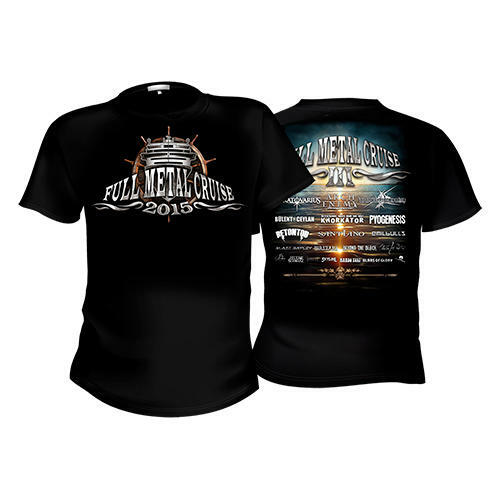 This is the main design for the third FULL METAL CRUISE 2015. Upfront you see the famous FMC logo combined with the year date 2015 and on the back there is this true - to - life scene at sea with the evening sun mirroring in the water as background and in front of that the FMC III lettering together with all bandlogos of the participating artists. This shirt made of 100 % cotton is a nice eye - catcher and for all fellow travelers a magnificent way to recall the joyful days on the Northern route and present it to the outside world.